Silver, or poor man's gold as it is known, is largely overlooked as a safe haven asset, but it is now hitting a purple patch and attracting investors. "Silver right now is really undervalued," said management consultant and investor, Tung Nguyen. "If you look at the long term historical trends, at the value between gold and silver, the research I did it normally tracks between 30 and 60 and now it's in the 80s. 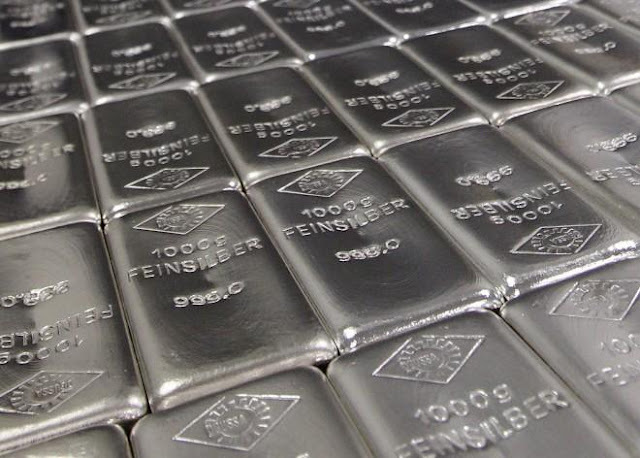 So silver right now is a bargain." Eighteen months ago Mr Nguyen liquidated all his assets and, after reading dozens of books, invested more than half his money into gold and silver. As a first generation Vietnamese immigrant, Tung Nguyen said financial security is important to his family. "We were really worried about where the economy was heading," said Mr Nguyen. "We felt that Australia was really heavily exposed to China, which is slowing down, and what that meant was the share prices and the property prices would have to come down. "And so I was trying to find something that would provide us with a bit of a hedge in case those asset classes came down." Tung Nguyen buys his silver and gold bars at ABC Bullion. The company's chief economist Jordan Eliseo said demand from retail investors - particularly self-managed super funds - is enjoying a big upswing. "We have seen precious metal turnover go up by a factor of six since the GFC (global financial crisis)," he said. "In terms of dollar values sold very much around 50:50 around gold and silver - both assets are increasingly popular amongst investors looking for a safe haven asset in their portfolios." After dragging along at $US4 or $US5 an ounce through most of the 1990s, silver hit highs of almost $US49 in 2011. Like gold, it then went on a general slide downwards, until this year. It has now bounced back up to $US15.60. Brokers use the spot price to buy on behalf of retailers, but a benchmark price on the London Bullion Market - set by an electronic auction mechanism - is used by large traders, such as miners and jewellers, to settle silver products and derivatives contracts. It was thrown into disarray in January when the benchmark price was set far below the spot and futures price, leading participants to claim the system is broken. "The problem with the setting of prices in London is that there's not the depth of market makers there," said BetaShares chief economist David Bassanese. "So you've had the price formally set on occasion falling well outside the range on futures markets for example." Most of the purchases come from industrial fabricators, where global annual demand is 600 million ounces of silver. Silver is used in electronics, including mobile phones, in the solar industry, and for producing plastics and detergents. "Industrial demand has stayed incredibly strong because of silver's qualities as a metal, and businesses finding applications they can utilise silver in." said Mr Eliseo. "Prices have risen, but it is such a small component they haven't rushed to find replacement metals, unlike gold which is almost exclusively a monetary metal and used for investment purposes. "Silver will be wearing that industrial and monetary metal status for many years to come." Tung Nguyen certainly hopes so as he is holding on to his stockpiles for now. "Extremely happy," he said. "My son's also an investor, he's 14 years old and he's sitting on a small stockpile of silver as well." A long play for such a young investor.